Mag-Amped is a revolutionary Magnesium product, our proprietary, proven formula, is readily available and easy for the plant to uptake, with an excellent overall solubility. Magnesium is essential for chlorophyll production in plants, in turn chlorophyll is the component in photosynthesis, essentially starting the process through collection of light energy. 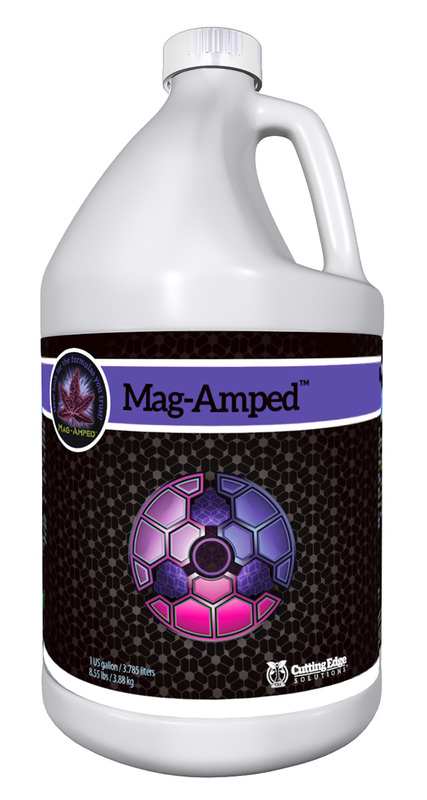 Mag-Amped is fantastic as a foliar spray, having the same low molecular weight and "clean" properties as our other additives. Mag-Amped can also be used in conjunction with our 2 other additives for custom foliar applications.